Elephant Storyteller • Success Coach • LifeStyle Speaker • Author • Motivator. Karlyn Percil is a woman with a mission and a plan. Founder of SisterTalk, a leadership network group for women, and facilitator and main storyteller of the Elephant Story platform, Karlyn is putting in work to help women find their purpose and live to their full potential. Karlyn understands that no great success can be reached without effective planning and this year she is serving up a great new tool to help women do just that in the form of her 2017 Success Planner. 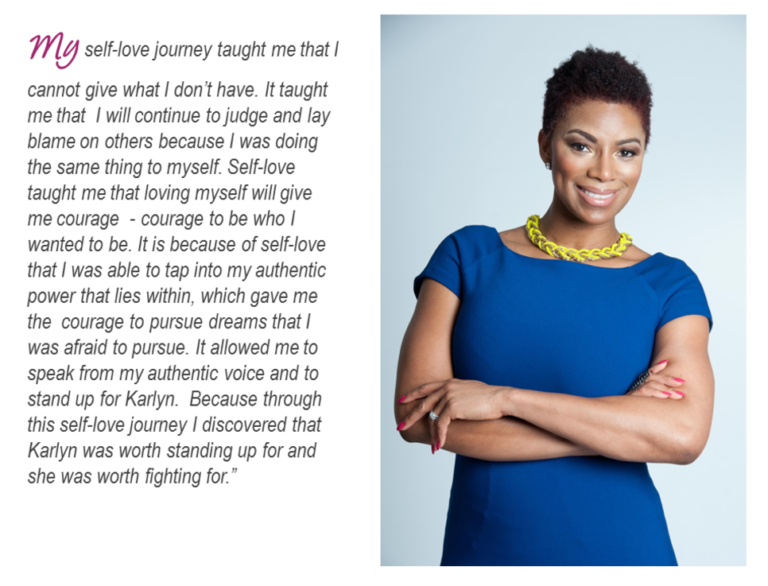 My purpose is to help you master your thoughts and your emotions, embrace your desires, take bold action in order to L.E.A.D (live & engage authentically daily) & create a beautiful life. I successfully combined the skills learned over the last 2 decades via Banking, volunteering & learning from others, to find my “happy” & enjoy the journey to success in spite of challenges at work & in life. I have achieved mental mastery and created a life I love, leading & living with purpose.